We are achieving amazing results in the area of pain relief with PEMF in veterinary applications at Frontier Wellness Center. PEMF - pulsed electromagnetic field therapy - has brought relief to hundreds of veterinary and human patients in our practice. The primary cause of illness is cell malfunction, with a resultant decrease in cellular surface electric potential. When the electric potential drops all active cell functions are decreased. Delayed restoration of surface electric potential can lead to chronic cell malfunction and signs of illness begin to appear. 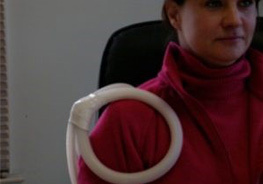 In an overwhelming majority of cases we find that pulsating magnetic fields can quickly restore health. PEMF returns cellular electric potential to normal functioning levels. 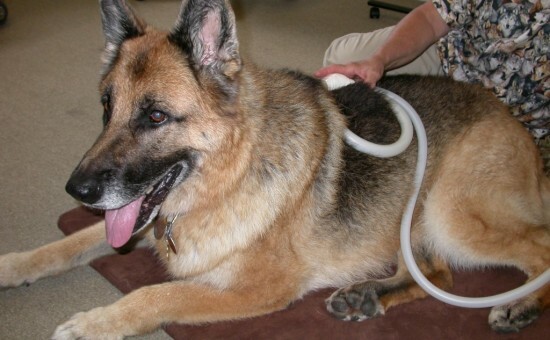 Veterinary PEMF therapy quickly returns the body to healthy function at a cellular level.